A typical productive yet relaxed Saturday for me is to meet up with friends over brunch, visit the union square farmer’s market, spend some time in a bookstore on my way home and if it’s a sunny day, I stop by the park to people watch! I called New York home because I can do all of that in walking distance! A weekend for me requires some planning to say the least… 48 blissfully lazy hours aren't the only good things about the weekend—though they are pretty awesome. Aside from planning a ‘grammable’ brunch, running errands and having some ‘reset' time, number one on my TGIW list is being able to wear all the cool, comfy clothes that are “off limits” to a corporate job from Monday through Friday! Getting dressed up, although not practical, is honestly kind of easy—you put on a nice dress, heels, a clutch, and you're out the door—but attempting to toe the line between stylish yet laid-back (aka the perfect weekend outfit) is annoyingly hard. For the weekend, my go-to pieces are a super comfortable dress with a jacket. Accessories are the key to the weekend styling! Here I chose this super soft and comfortable sweater dress and pair it with the pale pink Moto jacket for a chic look. The heeled boots are the one piece I wasn’t so sure wearing on the weekend since I walk around quite a bit, a pair of sneakers seemed more practical. 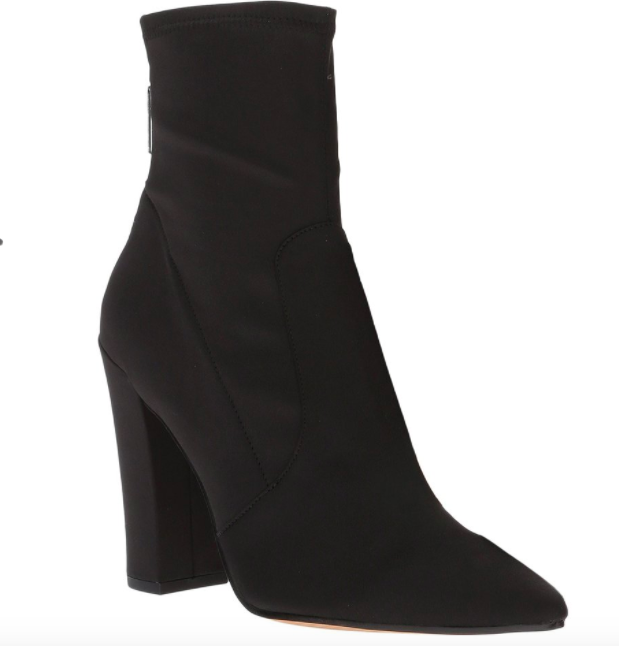 But I can’t help it, especially when they are the most comfortable heeled booties I’ve ever had! I walked in them for a few hours and felt completely fine. The circle bag is absolutely a great and practical addition to the weekend look. Not only it’s super light, it can fit so many things in it! What’s in my bag? A wallet, an iPhone, a makeup bag, a small flower bouquet and a book! 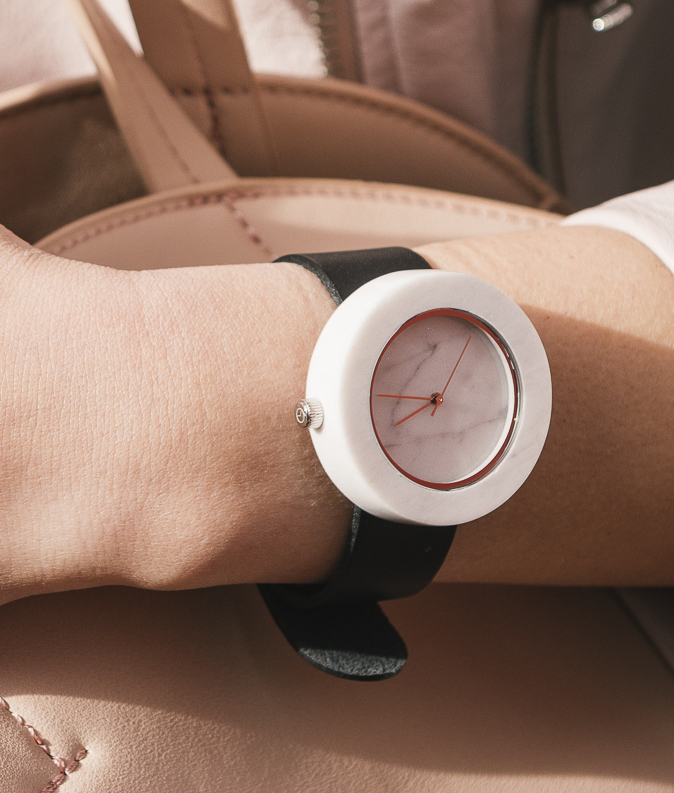 I personally love the big watch and I’m currently obsessing over this round face marble watch. I know you are crazy about anything marble like me :D I love it because it’s made out of genuine solid marble and to balance out the weight of the watch, it uses a thinner and lighter leather wristband which further emphasize the beauty of the face.